Martha makes everything pretty, doesn't she? I was watching her show the other day and I saw her make these amazing faux bois stockings. I think they are the epitome of simple elegance. I feel a project coming on. Right now the ones we have are fine, but as our family expands one day we will need more and these would be just perfect! 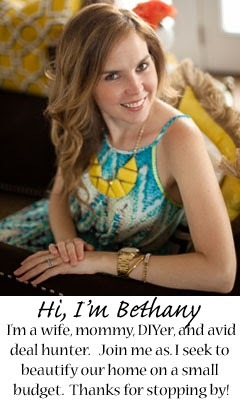 Check out the tutorial on marthastewart.com. She did it using regular velvet fabric and then just ironed the impression (using a mold) into the fabric, genious! 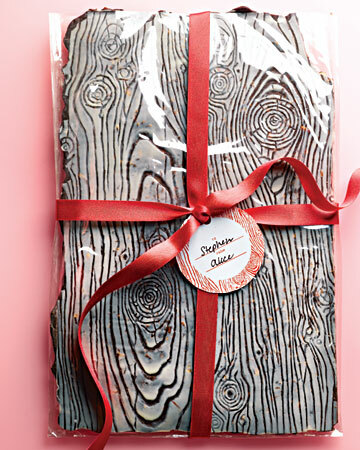 speaking of faux bois, I love this idea for chocolate, peppermint bark!